Designed for the most inspiring spaces, HELIOS is your no-compromise downlight that goes exactly where you want it – when you want it. HELIOS LEVEL THINKING goes beyond lighting up spaces. It’s about lighting compositions that drive the spirit of the space. It’s about striving for an exact response from whoever is experiencing the space, at that exact time. It’s about having precision, control, and flexibility – exactly how you command it. THREE SIZES. THREE PARTS. ALL COMING TOGETHER. 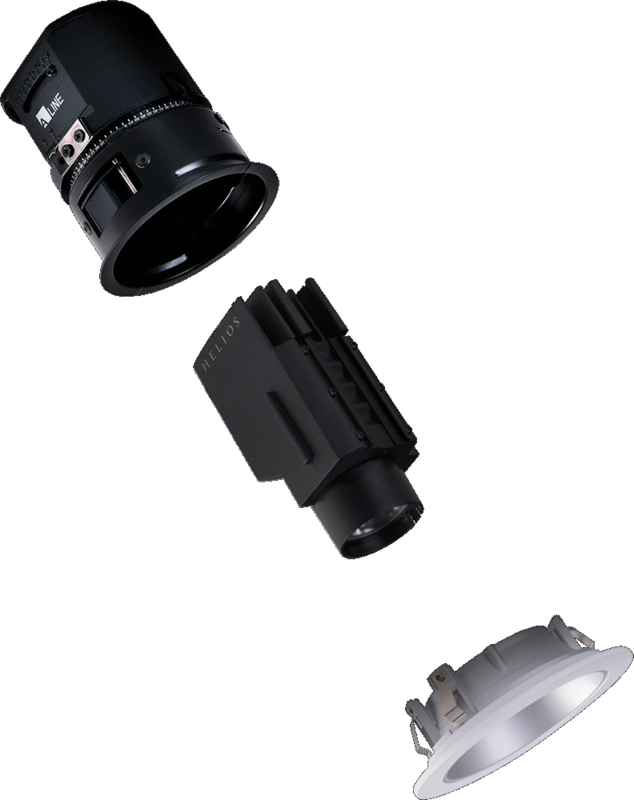 Available in 2", 3", and 4", with up to 3000 Lumens*, HELIOS also offers 365 degree rotation with a 0-6mm drift and up to a 45 degree optical tilt. This allows for the light to shine where it matters most, all with three regressed options for ultimate flexibility and a subtle yet commanding output. * Up to 1000 lm for 2" and up to 2000 lm for 3". FREEDOM TO CHANGE WITH THE SPACE'S EVOLUTION. *HELIOS 2 can install in ceilings up to 1" thick drywall maximum. LIGHT UP EXACTLY WHAT YOU WANT. WHEN YOU WANT. With its flexible FT6 wiring, HELIOS is suitable for commercial plenum air-handling spaces without the use of a conduit or armored cable. Three positions, included – Surface position the light engine for maximum output, regress it a little, or all the way for maximum comfort. Push it up, or pull it down. Optical compartment is twist and lock, and assembly is done all in-house. Go ahead, specify exactly what you want from a honeycomb louver, to light bending film, and color gel lenses with up to two media. FT6 wiring for commercial plenum air-handling spaces. No conduit or armored cable required. Three height positions to adjust from maximum light output, to maximum comfort. Optical compartment to house up to two media. SELECT YOUR TRIM. OR GO TRIMLESS. Round or square, fixed, adjustable or wall-wash, match your space’s spirit by selecting your trim and reflector finishes. 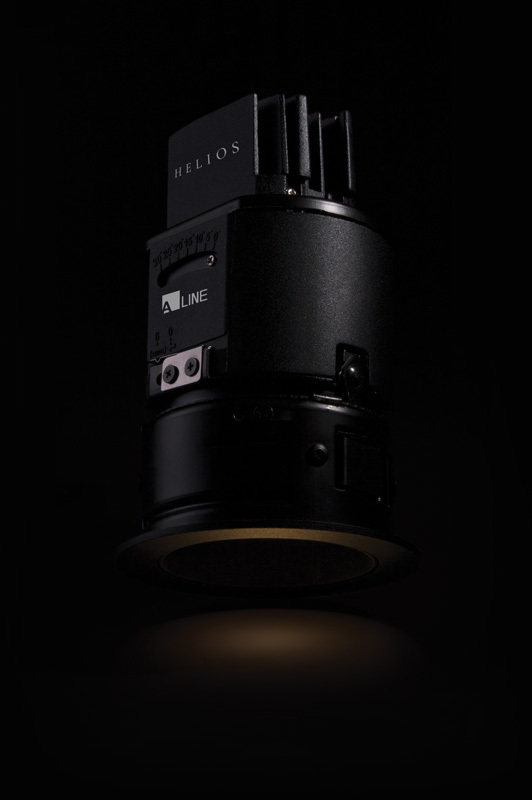 HELIOS reflectors offer quiet and loud optics. Decide between 70+ trim and reflector options, or request for your own custom color. Proud to offer the best wall wash in the industry – The HELIOS wall wash lays flush with the ceiling, and redirects light without hot spots. RETHINKING TRIMLESS INSTALLATION FOR DRYWALL. THE NEW AGE OF TRIMLESS. Take your next project from everyday average to architecturally extraordinary. Create a seamless ceiling with the use of a trimless adapter, or with a Pre-Fabricated Drywall Panel. Pre-Fabricated Drywall Panels come pre-installed with a trimless adapter for a Level 5 finish with minimal effort. Simply mount the panel into the building’s frame then tape and mud the edge on the panel. The Pre-Fabricated Drywall Channel comes with the trimless adapter pre-installed for a Level 5 finish. 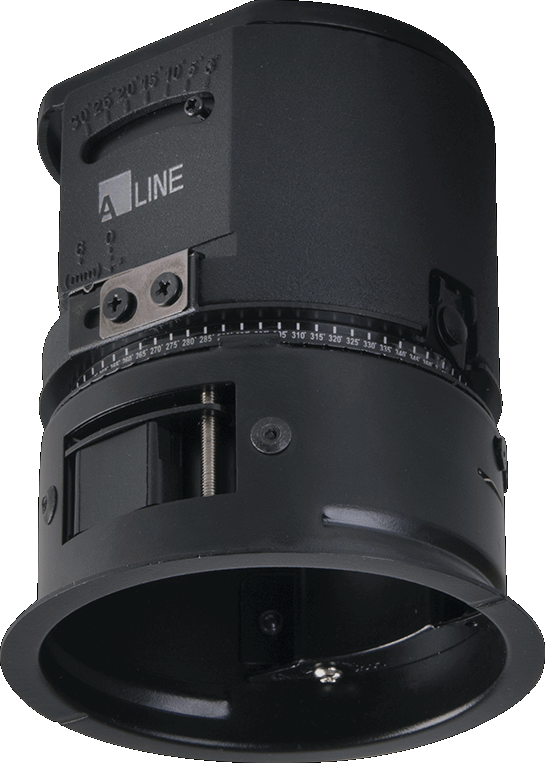 Go trimless with the HELIOS trimless adapter for a seamless look throughout your designs. With trim options that include custom colors, HELIOS offers the utmost customization. Select between trim or trimless, round or square, with a round cut-hole*, and fixed or adjustable trims, and one of six reflector finishes that are vacuum metalized polycarbonate. 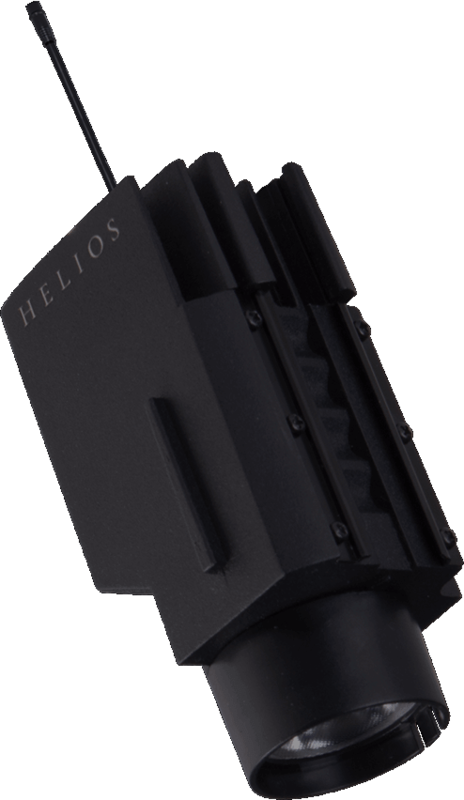 Using available primary and secondary optics, such as color gels and light bending films to tailor light further, HELIOS truly is a perfect combination of unparalleled power and elite-worthy beauty. * The square trimless option cut-hole is square. A PERFECT 45 DEGREE WALL WASH THAT WORKS. HELIOS has re-imagined focused lighting and engineered the leading wall wash with a sharp light redirection and a straight line upper cut-off that will not show hot spots. Create ground-breaking spatial composition with memorable highlights that will illuminate main-attraction pieces like no other. Offering a wide variety of trim options, HELIOS can be installed with a trim or trimless, round or square, with a round cut-hole, and fixed or adjustable trim heights for tilting capabilities. HELIOS also offers 95+ CRI with Dim to Warm and Tunable White options available. Forward and reverse phase dimming, 0-10v and 120-277 dimming options all come standard. To further customize the space, HELIOS 3 and HELIOS 4 will be available with Araya 5 for full RGB color tunability.